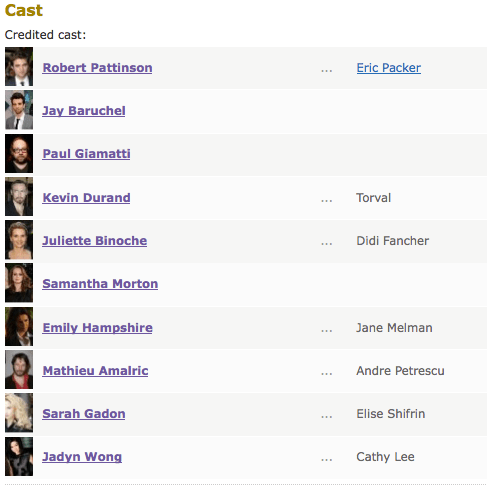 Booked a role in David Cronenberg’s new film starring Robert Pattinson. Can’t wait to meet and work with this amazing director. What script??? who’s holding out? I agree! Someone’s holding out!! Where & how did you get the script?! Cause I’ve TRIED and there is no way for me to download it *dang firewalls at work* Someone….anyone…..I’m on my knees licking my lips and begging here! Where? I’ve searched for it….again….as of yesterday & I keep hitting the same freaking (fire) wall!! Please message me if you can give me a safe link. I will love you hard if you can! Script? I don’t think anyone really HAS it…do they?